Join us on Heber Valley Railroad’s popular Broadway Show Tunes Train! This two-hour round trip departs at 7pm, and includes music from your favorite Broadway shows, including Phantom of the Opera, Hamilton, Les Mis and lots more. You’ll be singing along! Masks and costumes are encouraged. On board you’ll also be treated to live music, games, and prizes. Food and drinks for sale on board in the concessions car. 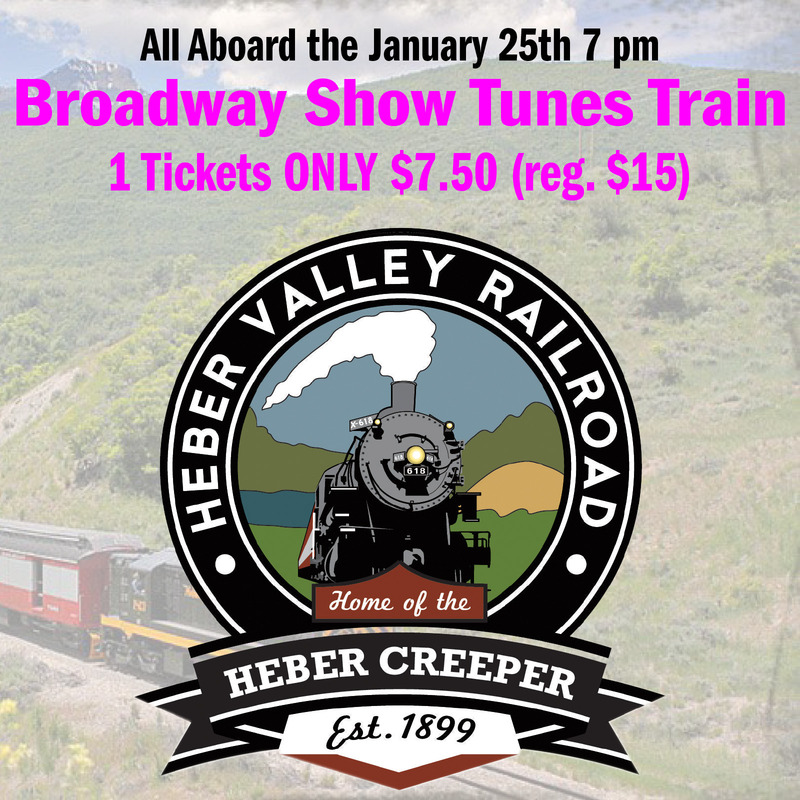 Dress up, don your mask, and join on this unforgettable Broadway Show Tunes Train ride!